Dedicated to the honor and sacrifice of the men and women of Westminster who served in the armed forces of the United States in all wars. Location. 39° 34.693′ N, 76° 59.936′ W. Marker is in Westminster, Maryland, in Carroll County. Marker is at the intersection of W. Main Street and Pennsylvania Avenue, on the right when traveling north on W. Main Street. Touch for map. 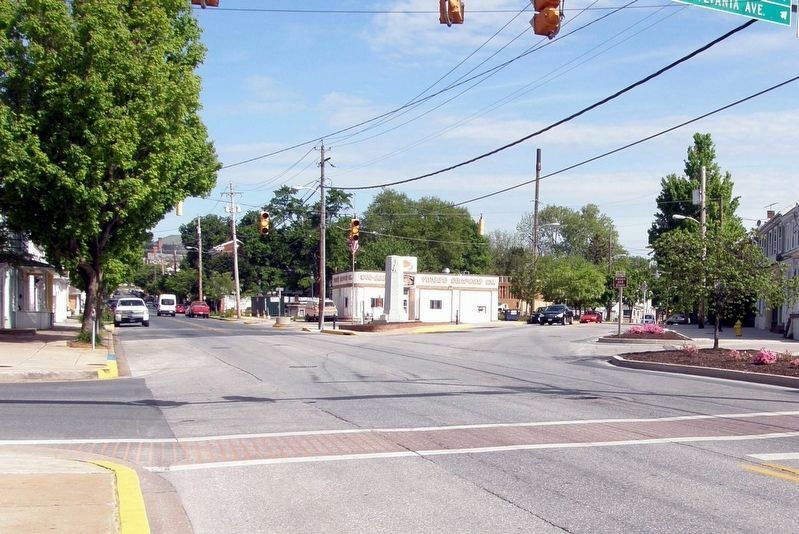 Marker is in this post office area: Westminster MD 21157, United States of America. Touch for directions. Other nearby markers. At least 8 other markers are within walking distance of this marker. The Rosser Raid (about 500 feet away, measured in a direct line); First Lutheran Parsonage (about 600 feet away); Gettysburg Campaign (approx. ¼ mile away); Divided Loyalties (was approx. ¼ mile away but has been reported permanently removed. ); Westminster Depot (approx. ¼ mile away); Mayor Joseph L. Mathias (approx. ¼ mile away); History Is Also Now (approx. 0.4 miles away); Neal Home (approx. 0.4 miles away). Touch for a list and map of all markers in Westminster. More. 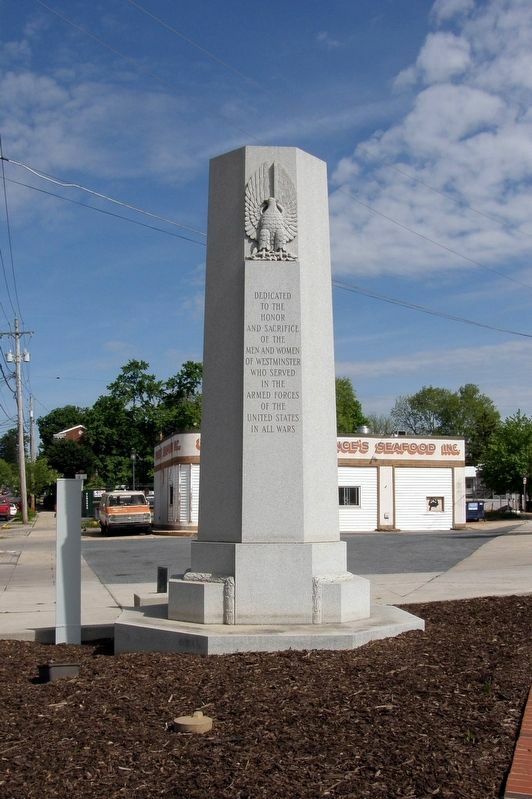 Search the internet for Westminster MD War Memorial. Credits. This page was last revised on May 30, 2017. This page originally submitted on May 29, 2017, by Larry Gertner of New York, New York. This page has been viewed 95 times since then and 7 times this year. Photos: 1, 2. submitted on May 29, 2017, by Larry Gertner of New York, New York. • Bill Pfingsten was the editor who published this page.